Find hotel near Shri Vighnahar Parshvanat ..
AshtaKasar is place of more than 500 years of rich history, including the interesting tale of the Shri VighnaharParshvanathDigamber Jain Mandir AtishayaKshetra Temple. Named after the Kasar Jains, around 200 families were sheltered in this village. Legends have it that during the Mughal period, the security of the idols wasin doubt and it was decided that they should be moved to a safer location. The same night, the daughter of the Village Head dreamt of the idol not going any place else. 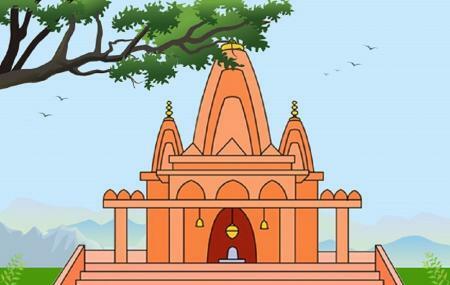 The villagers, then constructed a temple here itself, and established the idol in it. It is still believed that the idol protects the village, and that all the worries and problems of the devotees vanish after praying here. To personalise your visit to the city, you can use an all-inclusive Banswara trip planner for the same that will give detailed information about visiting the city. Hotels like Hotel Relax Inn and Hotel Nakshatra will solve your problem of where to stay in Banswara. Curated Banswara vacation packages await! Book the best ones and start turning your dream into reality.Discover various ways for how to reach Banswara and complete the booking by choosing your mode of transport. Love this? Explore the entire list of places to visit in Banswara before you plan your trip. Fancy a good night's sleep after a tiring day? Check out where to stay in Banswara and book an accommodation of your choice. How popular is Shri Vighnahar Parshvanath Digamber Jain Mandir Atishaya Kshetra Ashta Kasar? People normally club together Baneshwar Mahadev and Mohammediya, Galiakot while planning their visit to Shri Vighnahar Parshvanath Digamber Jain Mandir Atishaya Kshetra Ashta Kasar.